For thirty-two years I helped to educate many of Markham’s children. During that time I taught students that became doctors, lawyers, teachers, business people, musicians, actors and just about any other job you can imagine. I see many of my former students in the City and they are proud to tell me of their success in life. To this day I receive emails, letters and telephone calls from former students thanking me for my contribution to their academic careers. I am happy to know that I played a part in the success of my students. 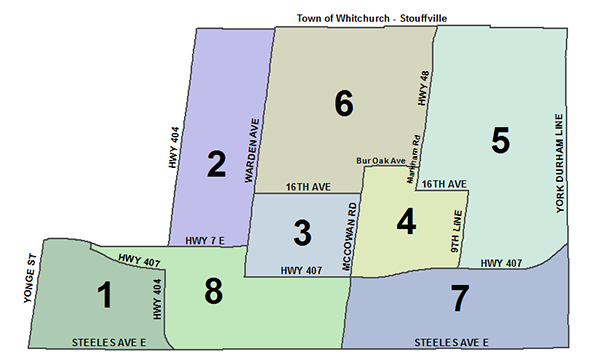 I began my political career serving Ward 3 Unionville from 2009 to the present. This has been a very fulfilling and rewarding position for me. As a local Councillor I have been responsible for assisting residents with all of their municipal needs. When their request was not within my jurisdiction, I was always able to connect them to the right person at the proper level of government. One of the reasons that I have decided to pursue a Regional Councillor position was driven by the needs of local residents. Many of the day to day issues that residents face are Regional issues. Residents are entitled to have quick responses and solutions to their Regional inquiries. 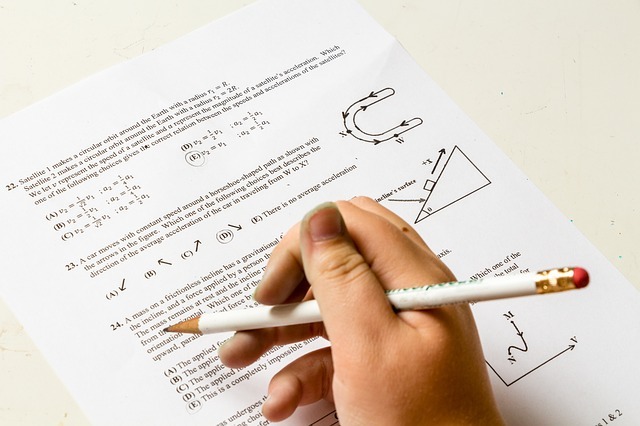 Often the best way to assess a candidate is to examine their record. During my nine years serving on Markham Council I have always done my best to bring the views of my residents forward to the Council table. I believe my record in representing you is second to none and at the Regional table I will make every effort to do the same. My family moved to Unionville almost 50 years ago. 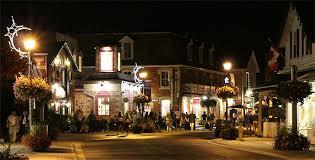 Shortly after moving here we learned that Main Street Unionville was to be widened. This would have meant the removal of several heritage buildings and changes so severe that the character and actual physical structure of the street would have made it unrecognizable today. 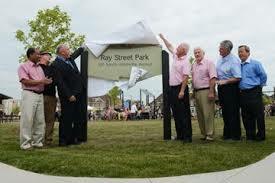 A group of dedicated residents formed the Unionville Ratepayers’ Association which fought to preserve the Main Street. Unionville Main Street provides much enjoyment for those who visit the many quaint shops and restaurants or who simply walk the street and enjoy the abundant flowers. I have lived, worked, played, married and raised a family in our great City. I am proud to call Markham my home. 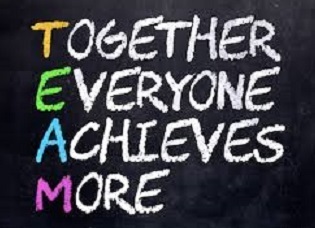 Together we can make Markham better! As the City continues to grow and more and more concrete and asphalt appears it is important to preserve and enhance all of our remaining green space. Through the Trees for Tomorrow program I am committed to increasing our tree canopy. This is even more important given the recent devastation by the Emerald Ash Borer. I will continue to fight for additional green space in our new developments and Downtown Markham. I will continue to support increased waste diversion through our blue and green bin programs, recycling of household textiles and enhanced recycling at our Depots. By recycling as much as possible we all can make Markham Greener! 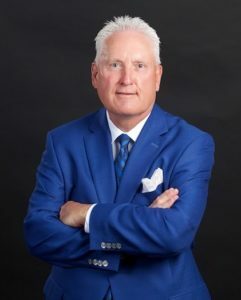 I was a former director of the Unionville Ratepayers Association (URA) and have been actively involved with the URA and other local organizations such as Unionville Villagers Association and the Unionville Business Improvement Area. I hope to be able to share my experience with all of the other ratepayer and resident groups in Markham. 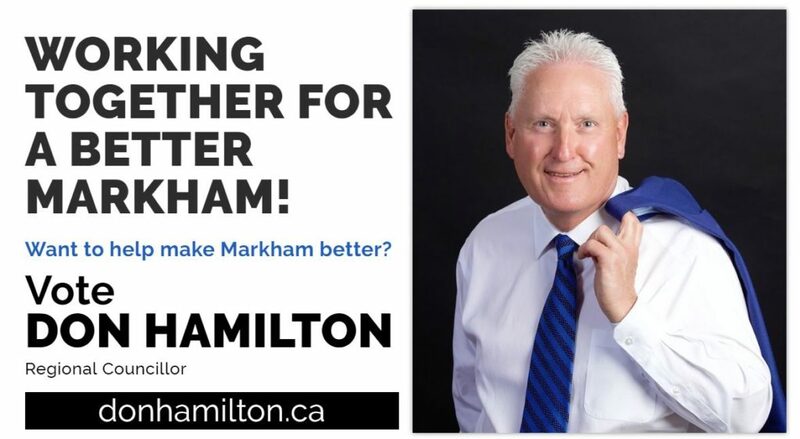 Let’s work together for a better Markham! There are many residents, a number of them from outside of Ward 3, that I have never met but I have been able to assist because I respond to all resident requests. 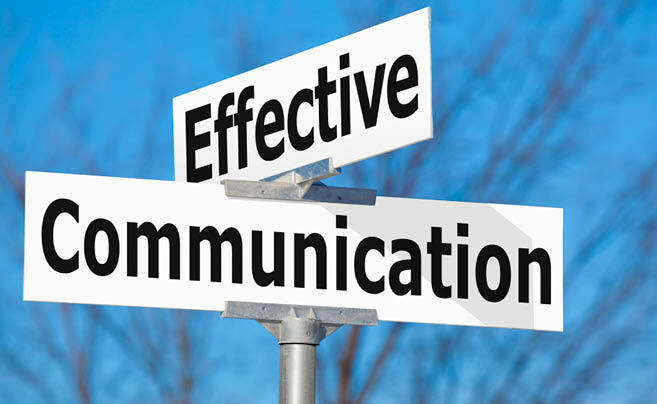 You have every right to expect a timely, complete response when you email or call your member of Council. 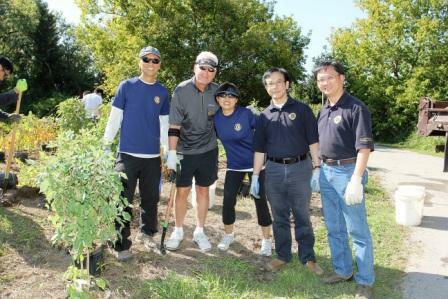 Our City staff is committed to service excellence and I am too. Thankfully I have had an excellent Executive Assistant, Marina Antonoglou, by my side for the past 9 years. She is extremely personable, knowledgeable and knows who to speak with at the City to find answers. We work well together. As your Regional and local Councillor, we will be expanding our service to help all Markham residents with both local and Regional matters. You can expect the same helpful Marina and Don team! 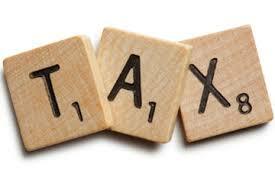 I have long advocated for capping City tax increases to a percentage that is at or below the rate of inflation. Unfortunately, other members of Council did not support my position and continue their “tax and spend” philosophy. Throwing money at a problem offers only short term gain and long term pain. It will not make the problem disappear. York Region currently has debt of approximately $3 Billion (click to see report). This has happened under the watch of the current Mayors and Regional Councillors that presently sit on Regional Council. While there is mention of a plan to reduce debt to $2 billion over the next 10 years, the plan is almost wholly dependent on building development. If the economy weakens and development slows, the taxpayers of Markham could find themselves facing huge tax increases. It’s clearly time for change at the Regional level in order to get this debt burden under control. I have served on the Heritage Markham Committee for 9 years. Heritage Markham is made up of a dedicated group of residents who have heritage foremost on their minds and seek to preserve the buildings in the villages and towns that reflect our past. Check my record on supporting heritage, or better still, visit one of our heritage communities and see the results of our committee’s hard work. 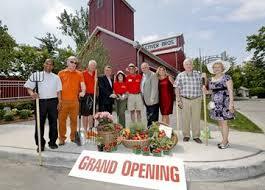 I believe that each Regional Councillor should serve one year on our Heritage Markham Committee. All members of Council should be working together for a better Markham; however this is not currently always the case. I believe in consensus building and finding common ground on which to build towards a reasonable solution. 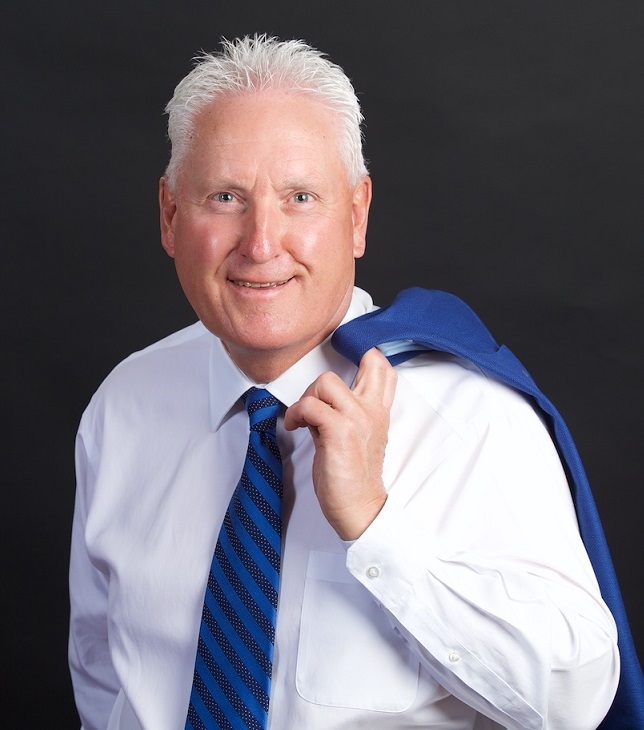 As your Regional Councillor I will bring my experience and knowledge to both Regional Council and Markham Council. How bad would it be for our neighbourhoods if our Main Streets and local businesses were not healthy? During my tenure as Ward 3 Councillor, I have worked to build and implement the Main Street Unionville Revitalization Plan. This has resulted in increased activity and new complementary development. As a Regional Councillor I will continue to work with the local BIAs to keep them strong and vital. I will continue to work with local businesses to bring “feet to the street” and help keep their taxes low at both the City and Regional levels. Having a strong business base in Markham is a key to having a healthy economic climate. 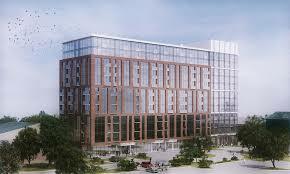 I am pleased to have worked with many businesses as they chose Markham for their new headquarters. Small business is the backbone of our economy. We have many thriving businesses, both small and large, here in our City. 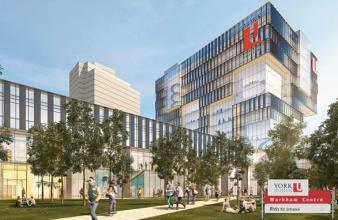 I am also pleased to have helped support York University coming to Markham. York will bring a new vitality to our city. As your Regional Councillor I will be even more actively involved in bringing economic prosperity to Markham. One of the most important parts of any community is its play spaces. 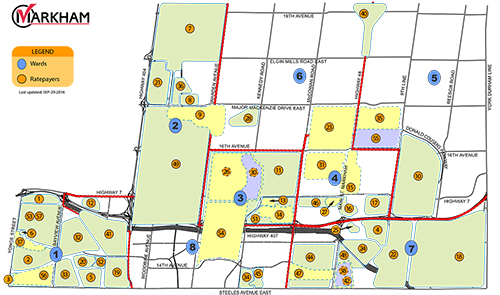 This can refer to indoor areas such as community centres or outdoor areas such as parks. I am pleased to have added many new parks to the City’s inventory. Just walk through your neighbourhood to see the welcome additions. We have also added the new Aaniin Community Centre to the community centre roster. This fantastic new community facility has many amenities such as library, swimming pool, gyms, fitness centre and community event space. As many of our residents age, there is an increased need for seniors housing in Markham to allow residents to age in place. I have been instrumental in working with York Region Senior’s Housing to bring a new facility to Markham. This will be a multi-unit building with many senior amenities. I will continue to look for opportunities to enhance the availability of senior’s units. Markham should continue to work in close partnership with the Province and the Region to increase affordable and rental housing options. The transit system continues to improve along the main corridors. The Highway 7 transit way with its own dedicated rapid lanes is now completed. However, until the subway extension is built from Finch Avenue to Highway 7, it becomes a transit way to nowhere. Poor north-south connections also plague the system. 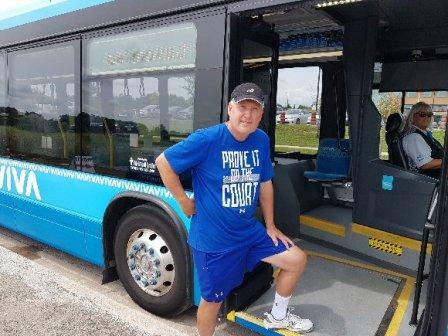 Having a two fare system is a deterrent for people who would like to use transit. 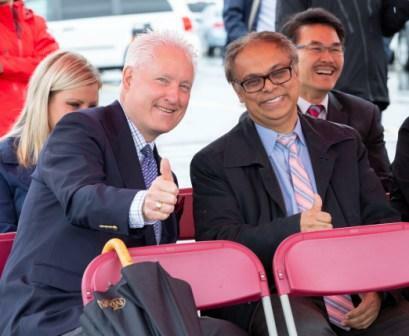 As your Regional Councillor I will strongly support Markham’s efforts to get the subway built, move to a one fare system and offer more direct subdivision shuttle service to local GO stations. We need a better public transit system if we’re going to ask people to leave their cars at home. Would you like a cannabis store in your local neighbourhood? It will be a legal product the same as tobacco or alcohol. Markham Council has already discussed where, if anywhere, cannabis should be sold in Markham. This was a hot button topic but after lengthy discussion the City Council decided not to permit retail cannabis stores within its borders. Our federal MP Bob Saroya has been asking residents if safe injection sites should be permitted in Markham. This may also require Markham Council to look at zoning accommodations. Would you like a safe injection site located in your local plaza? The Region of York is planning road widenings for Bayview Avenue, 16th Avenue, Kennedy Road and McCowan Road. There are residents eagerly awaiting these road widenings and those that are dead set against any road widenings. This will be a big topic of discussion at Markham and Regional Council. Should the roads be widened bringing even more vehicles through our communities? Will the roads be just as congested as they are now even after road widenings? Would money be better spent on transit? These road widenings will affect future developments such as the York Downs property and expansion north of Major Mackenzie. York Regional Police falls under the jurisdiction of York Region Council. The reality of today’s policing is much different that it has been in the past. With the sad events that have happened in Toronto, we need to provide YRP and other first responders with the needed resources to protect Markham residents. I will be a strong advocate for public safety. Please feel free to contact me with your questions and comments regarding any issues that are important to you. I will be happy to respond.